Clematis Montana Marjorie has stunning, fully double blooms. 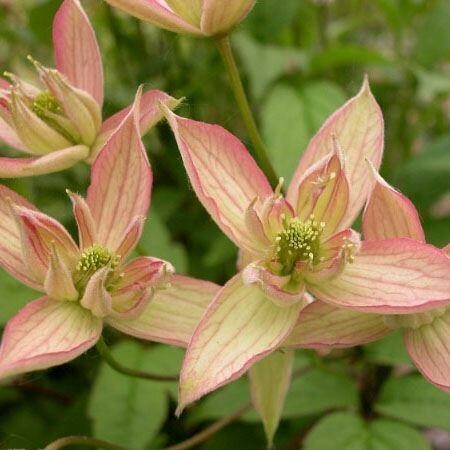 Grown for it's unusual, spiky petals, these flowers are white to salmon pink with slightly darker pink veining. Best grown in a sunny position otherwise the flowers tend to lose a little colour. No real pruning required, just remove any dead stems after flowering. A more compact variety, ideal for smaller gardens. This delightful, showy Clematis looks very attractive when scrambling through hedges, shrubs or climbing roses. Strong plants supplied in approx. 2-3 litre containers.